Graphics by Cormac Rada ’17 and Ben Horwitz ’17. As the freshman class of 2018 experienced its first ever month of college, The Clerk sent them all a twenty-four question online survey. Of the 340 students in the class of 2018, 100 students responded. Outlined below are their backgrounds, prior experiences, and hopes for the next four years to come. The respondents proved to be a global bunch, with 14 percent reporting international hometowns. Of domestic respondents, over half are from the New England or the Mid-Atlantic regions. 13 percent are from the Pacific West Coast, and 6 percent hail from the southeast. A slight 4 percent call the American Midwest their home. Of the respondents, 60 percent identified as a female, with 37 percent identifying as a male, and 3 percent as “Other.” 84 percent responded that they lived with both of their parents. The level of education of their parents was skewed towards the higher end of the spectrum, with only 13 percent reporting less than a Bachelor’s degree. 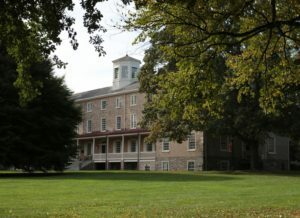 9 percent reported being legacy students at Haverford. 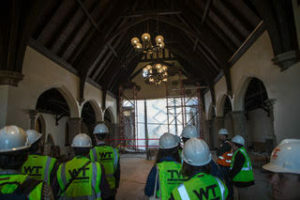 The most students (43 percent) do not identify with any religion, but Christian denominations come in second, with 35 percent of respondents identifying with a form of Christianity. Judaism has a relatively strong hold in the freshman class, with 17 percent of respondents identifying with the religion. 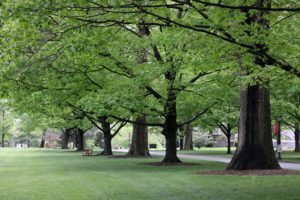 Islam, Buddhism, and Hinduism all are also represented on campus, though in far smaller amounts. Over half (53 percent) of respondents attended a public high school. 42 percent of respondents went to private high schools, and 3 percent were homeschooled. Only 1 respondent reported attending a charter school. 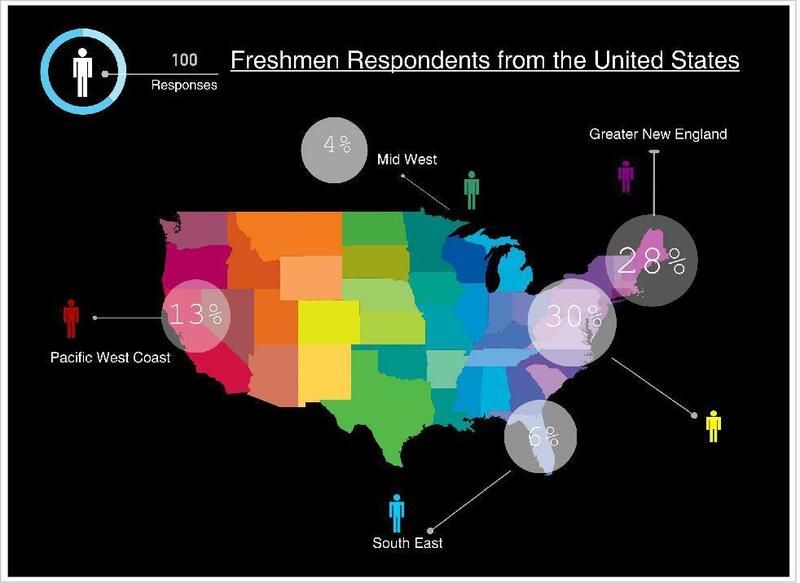 87 percent of the freshman respondents report feeling at least moderately prepared for college. 8 percent feel that they are “Underprepared,” and only 2 percent feel “Extremely Underprepared.” 2 percent feel unsure about their level of preparedness. Sciences, Mathematics, English, and Economics were the top four reported areas of interest. Overall, respondents reported having the least interest in the humanities, and the most in the social sciences. There was a high level of crossover between STEM subjects, Humanities, and Social Sciences, indicated a large number of potential double-majors. Of the freshman that responded, 75 percent identified as straight/heterosexual. None identified as gay or lesbian, but 15 percent identified as either bisexual or queer. 7 percent identified as pansexual, and one percent identify as asexual. 1 percent identify as other. About half (51 percent) of the respondents report ever having been involved in a serious relationship. Another 77 percent say that they currently consider themselves single. In regards to their past sexual experiences, 44 percent say that they do not consider themselves virgins, and 17 percent report that they have engaged in some sexual activities, but still consider themselves to be virgins. Over a third of respondents (38 percent) have never been sexually active in any extent. 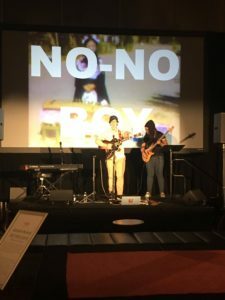 As far as relationships are concerned, only 6 percent of respondents are not interested in any romantic and/or sexual relationships in college. Most respondents were interested in monogamous relationships, while 32 respondents were interested in non-monogamous relationships, either sexual, romantic, or both. Most respondents (41 percent) say that their schoolwork “sometimes” comes first as compared to socializing. 26 percent say that they tend to split their time evenly between the two, and 22 percent say that schoolwork always comes first. 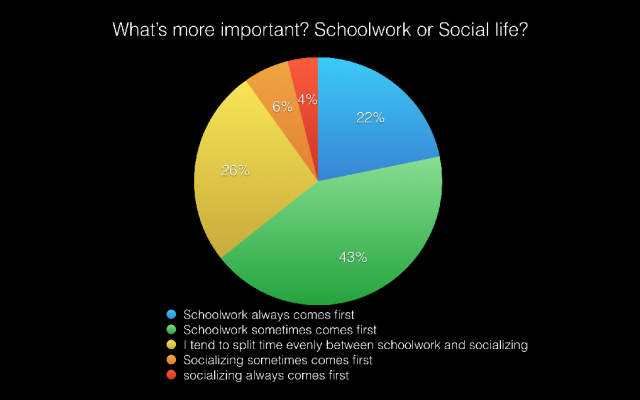 Only 10 percent say that socializing either always or sometimes comes before schoolwork. A majority of student athletes (45 percent) acknowledge that their schoolwork comes before their sports. 27 percent of respondents do not participate in any sports, neither club nor varsity. Only 8 percent of respondents say that their varsity/club sports, or just their regular workout schedule comes before their schoolwork. 28 percent of respondents report not drinking at all. 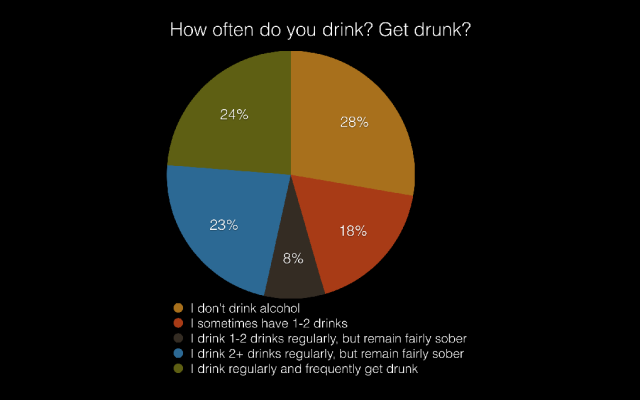 The remaining 72 percent drink in some fashion, but only 24 percent admit to drinking regularly and frequently getting drunk. The responses were far less evenly distributed in relation to drug usage. 46 percent of respondents have never tried any form of drugs. 34 percent have smoked weed, or do smoke weed occasionally. 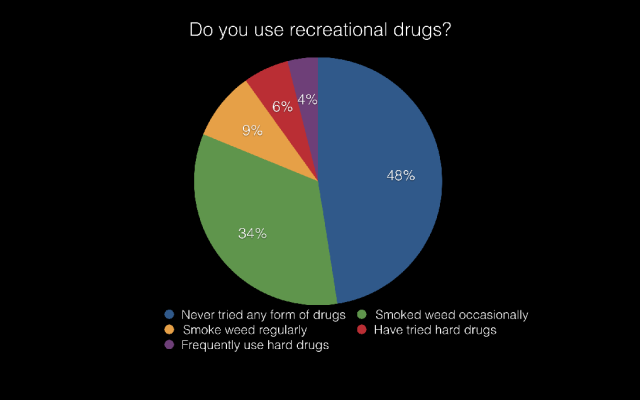 Only 9 percent of respondents admit to smoking weed regularly. 10 percent of respondents have some experience with hard drugs, but only 4 percent of those same people frequently use hard drugs. Exactly half of the respondents say that they have an “optimistic” outlook for their future. 17 percent say that they are very optimistic. Only 4 percent say that they are “very pessimistic,” and 7 percent say that they are “pessimistic.” The remaining 21 percent say that they are “neutral” in their outlook.